With a provocative slogan and a roster of 175 Softies, some might doubt we have an inferiority complex. But we’re insecure when it comes to humane education. Each of us brought a different skill set when we created Show Your Soft Side seven years ago, but neither Sande, Lori nor I had a background in education — or even children of our own. It’s been a shortcoming, particularly when our goal is to change the mindset of kids. 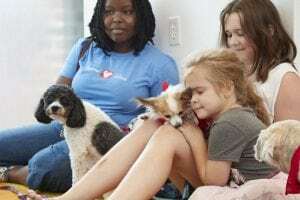 Enter the Institute for Human-Animal Connection (IHAC) at the Graduate School of Social Work at the University of Denver, which is helping us craft a humane education program for our Softies. In 2010, I attended a roundtable of the National Link Coalition held at the Graduate School, but was so focused on Baltimore’s grinding animal cruelty problem that I hadn’t focused on the groundbreaking work the University was doing. 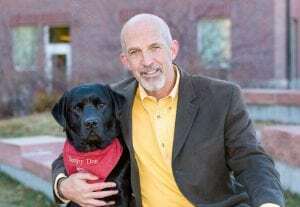 Founder Philip Tedeschi had created the first center for research, ethics formation, and clinical training on the human-animal connection within a graduate school setting when he received funding to conduct research on child and adolescent exposure to animal abuse and domestic violence. A subsequent grant led to the formation of the Colorado Link Project. Tedeschi recruited Dr. Sarah Bexell to be the Director of Humane Education at the Institute for Human-Animal Connection. Bexell had spent more than 2 decades in wildlife conservation and was working in China, where she continues to return each summer to direct conservation education at the Chengdu Research Base of Giant Panda Breeding. Back home in Denver, she oversees a new certificate program that she created, Raising Compassionate Kids: Humane Education & Interventions for Early Learners, geared for teachers and caregivers of children ages 2-8. Humane education is so much broader than simply bringing a shelter pet or stuffed animal into a classroom. As Bexell notes, at its best, it is “poised to help us address some of the most pressing issues humanity faces today” and encompasses both the protection of the natural environment and human rights, as well as animal welfare. 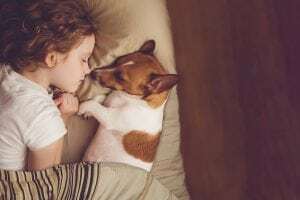 Quite simply, IHAC is conducting research and is training a generation of professionals on how to instill in kids the need to protect animals, the planet, and each other. Compassion and empathy are qualities that can be taught, when done in a non-judgmental setting, as children learn when presented with accurate information and are not indoctrinated. Bexell works closely with Courtney Brown, who herself obtained an Animal Assisted Social Work Certificate in the masters’ program. 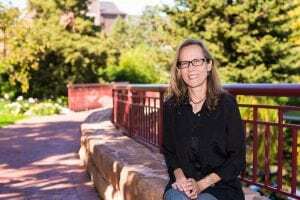 Brown now serves as the Senior Community Projects Manager for IHAC, where she oversees the Colorado Link Project and research on animal cruelty. IHAC has developed a Forensic Animal Maltreatment Evaluation that not only better identifies the root causes of animal cruelty, but also provides recommendations for treatment and supervision, which can assist judges in ordering meaningful sentences in cruelty cases. Bexell and Brown recently shared our materials at IHAC’s biannual conference, Animals on the Mind 3.0, and are working with recent graduates, Kaylee Keuthan and Jazzy Salter, to create three different lesson plans that we can send out with our posters and that our Softies can use when working with primary, middle and high school students. It’s the lifeline we’ve needed when speaking to kids at schools and community events. In the short run, our collaboration with a world-renowned academic research center on the human-animal connection will help us fulfill our mission of preventing animal abuse and promoting kindness toward animals. In the long run, we hope to one day launch a campaign in Denver and obtain grant funding to evaluate and measure the effectiveness of our campaign. Much hard work remains to be done, but in the meantime, our collaboration with IHAC is a marriage made in heaven. The Institute for Human-Animal Connection (IHAC) offers several online certificate programs, including Animals and Human Health; Raising Compassionate Kids: Humane Education & Intervention for Early Learners; and Equine-Assisted Mental Health. In addition to these multi-disciplinary online programs, it offers an Animal Assisted Social Work Certificate to graduate students enrolled in the School of Social Work. For more information on any of these programs, visit www.du.edu/humananimalconnection or visit IHAC on Facebook.